One evening recently while getting Hugo changed, Evie was playing in the room with us. Evie loves exploring all of the nooks and crannies in the bedroom, opening cupboards, draws and unpacking virtually anything she can get her hands on. One of Evie’s favorite things is hats, they make her smile every time she or we put one on her. 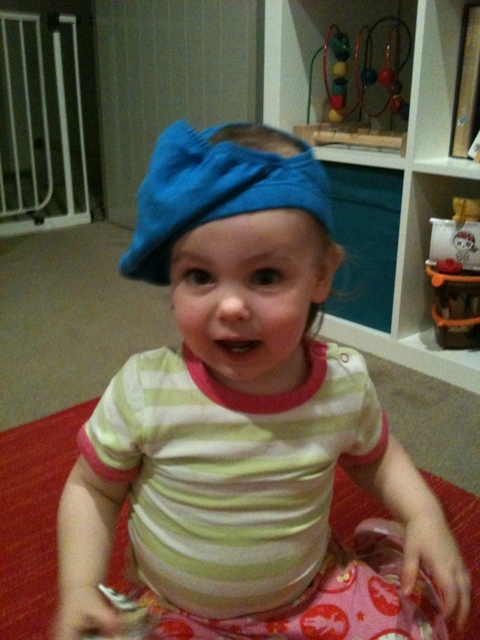 Of course, a hat to a toddler is a very flexible concept & is quite easily interchanged with undies as needed.